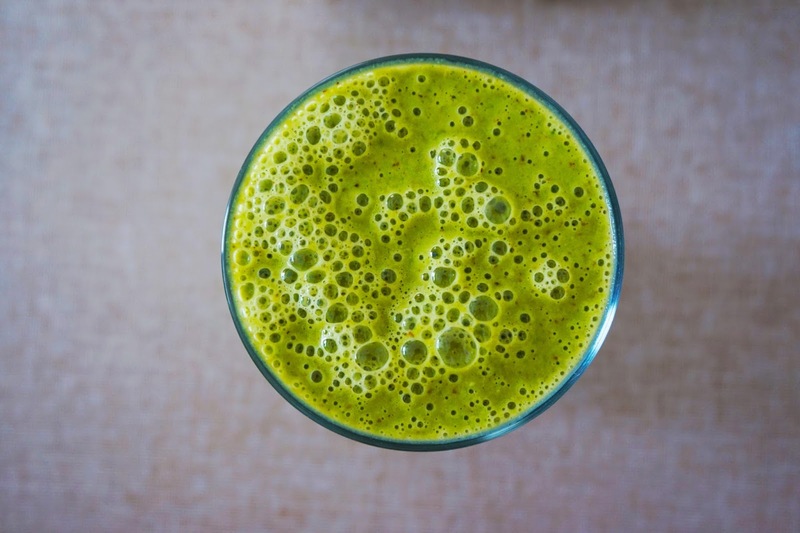 Spirulina and the 'superfoods' set to trend in 2018 - Nisbets Australia Blog - Industry news, trends, recipes and more! Lauded as the ‘best food for the future’ by the United Nations World Food Conference in 1974 and highly recommended by NASA as a meal for 1980s astronauts, Spirulina and its introduction into the Australian consciousness has been somewhat of a slower burner. The freshwater blue-green algae, which lives in freshwater lakes, ponds, and rivers, has been around for almost 3.5 billion years, but it is only in the last few that Spirulina has found its way into everything from smoothies and desserts to soups and stews. With a tendency to turn everything it touches to a shade of nuclear green or a scary dark blue, coupled with a salty taste and fishy overtones, Spirulina is certainly not to everybody’s taste. But in Australia we have learned to love this slightly mythical powder that has scaled the heights to become regarded as ‘one of the world’s leading superfoods’. Spirulina’s major selling point lies in its myriad of health benefits, which include high levels of: protein, vitamins A, B, C, E and K; beta carotene; immune system-boosting polysaccharides; detoxifying chlorophyll; and eight essential amino acids. With annual growth of around 12% forecast in the spirulina market over the next decade, it is expected to remain on our menus for some time to come yet – but which other ‘superfoods’ are expected to be in demand as we begin to consider what will be trending across our industry during 2018? Moringa is a relative newcomer to the commercial catering market, but we are expected to see and hear a lot more about it during 2018. The moringa tree is native to the foothills of the Himalayas with leaves, pods and seeds that are edible. It is also manufactured commercially as a powder. Moringa has been used for medicinal purposes and as a food source for the best part of five millennia. It is nicknamed ‘Miracle Moringa’ due to the stacks of vitamins, iron and protein that serve to promote a healthy heart and immune system. Fresh moringa leaves taste like horseradish and are thought to provide the greatest nutritional returns when eaten raw. Why not use the leaves to create a unique and health-promoting salad? Moringa powder, meanwhile, has a green tea-like flavour, but with a slightly spicier kick. It is often used in smoothies, coffee and juices, or is lightly cooked in soups, stews and curries in place of spinach and other leafy vegetables. There are literally thousands of ways it can be used in order to give your health-conscious customers a shot of nutritional goodness! Chaga mushroom is a dense black fungus found growing on the bark of birch trees. It originates from Russia and South East Asia and thrives in particularly harsh climates. Virtually unheard of beyond the boundaries of its natural habitat before the start of the 21st century, Chaga is tipped to be one of the superfoods of 2018. Chaga is loaded with anti-oxidants that stimulate the immune system and has been shown to be effective in the fight against viruses in various studies. It is also thought to be useful in: the prevention and treatment of cancer; as a natural anti-inflammatory; and in improving physical endurance. Unfortunately chaga won’t work as an exotic omelette filling or to offer a unique twist to your stroganoff. Taken straight from the tree, chaga is indigestible by humans. The bioactive goodness is available pre-extracted for commercial use in powdered or liquid form and is usually offered as a speciality tea, coffee, latte or smoothie. The bright yellow spice traditionally associated with Asian cuisine has undergone somewhat of an image transformation. Used for thousands of years as a medicinal herb in India, recent studies presenting evidence of turmeric’s benefits on the body and brain have led to chefs and menu planners coming up with recipes and dishes incorporating the spice purely for its health properties. The health benefits of turmeric are linked to its yellow pigmentation, also known as curcumin. Health benefits are said to include: improved processes of the digestive system; help with skin conditions; and relief from joint paint. Turmeric is used to being hidden away in the rich depths of a delightful curry, but there are plenty of innovative ways to make the spice with the golden glow the headline act in a range of delicious dishes, smoothies, soups and beverages. Chlorella is packed with nutrients that are good for the eyes and also promotes a healthy heart by lowering levels cholesterol and triglyceride. It is also great for vegetarians due to richness in B12, which is an essential vitamin found predominantly in meat sources. Who could forget chlorella’s partnership with spirulina that contributed to the magical Instagram food trend that was #mermaidtoast earlier this year? There are plenty of other ways you can use chlorella, but you’ll have to experiment to find the right foods that work in tandem with it. There are very few people who have anything complementary to say about the taste of chlorella in isolation. To get the benefits without the aftertaste, try adding a teaspoon of powdered chlorella into a blender full of fruit to conjure up a super healthy and tasty smoothie.